The days have been warm and beautiful. It has been reaching around 35 C in between, and kids are enjoying with water sprinklers in the garden, licking homemade popsicles. 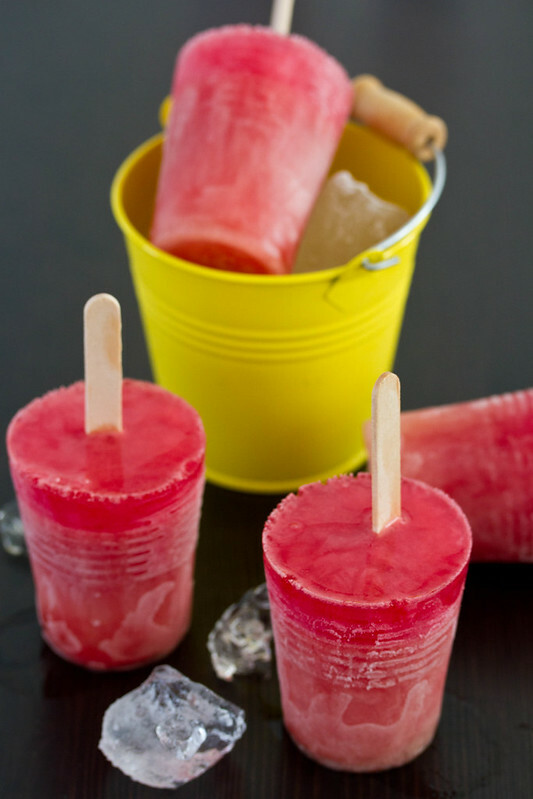 There has been so much variety of fresh fruit in the market, and the range of making fruit popsicles is unlimited. It was not long back, I made mango yogurt popsicles and the kids wanted more of them. These fruit popsicles can be made purely out of fresh fruit pulp, but you can always add honey or simple sugar syrup for the extra sweetness. You can even make it more luxurious by adding cream or yogurt depending on the fruit. I usually do not follow any particular recipe, but just process the fruit and add any sweetners if needed and pour in molds and freeze. To make the sugar syrup, bring the water to boil, add the sugar to dissolve, and remove from heat. 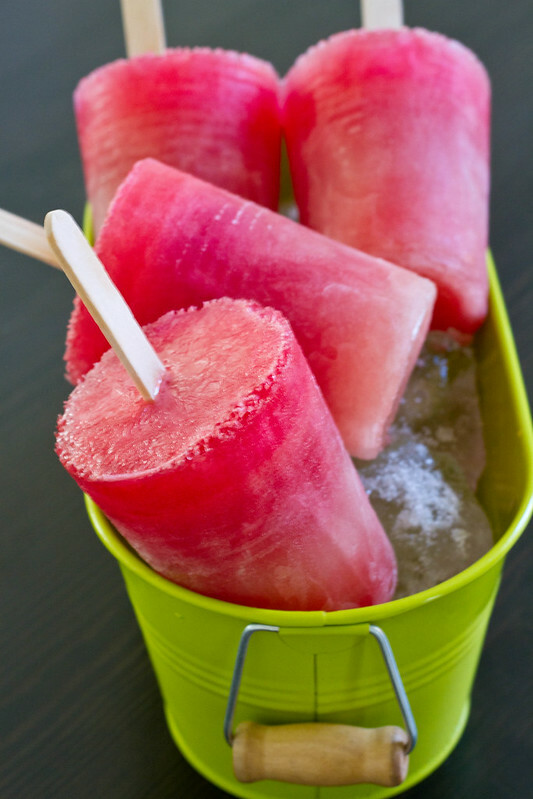 Puree the watermelon, and add the sugar syrup and lime juice and pomegranate juice. Mix well. 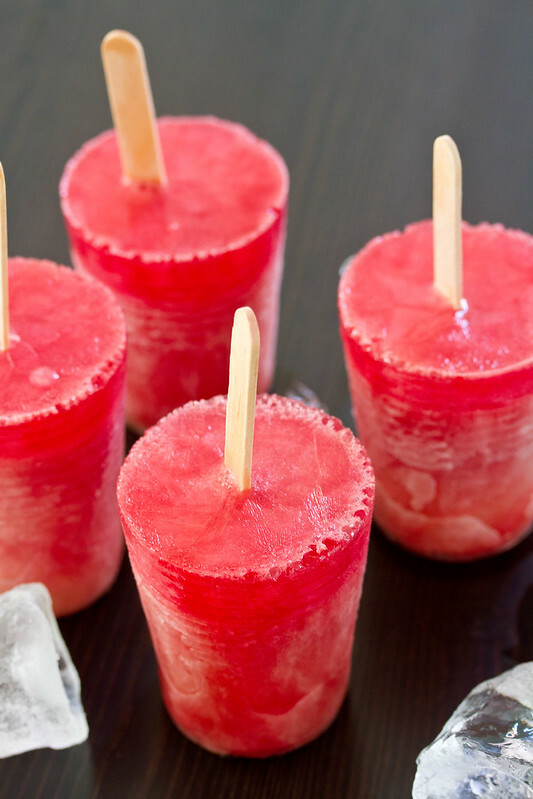 Allow the mixture to freeze for half an hour, and then add the popsicle sticks. Have a Happy Summer! Enjoy! such cute buckets and the red popsicles are looking gorgeous in them! Beautiful pics! Feast to eye and easy way to satisfy Anshu. 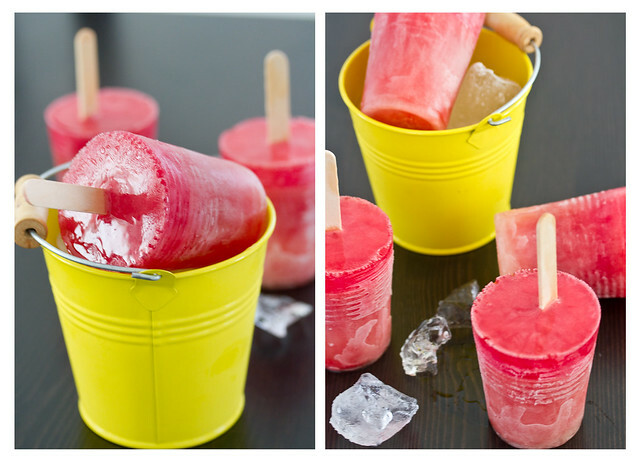 Oh…love those cute tiny buckets, and the color of Popsicle is lovely! Very colourful and beautiful pictures. Super cute! Beautiful colours and lovely photos, Spandana! Yeah, Kids will sure love these colorful treats.